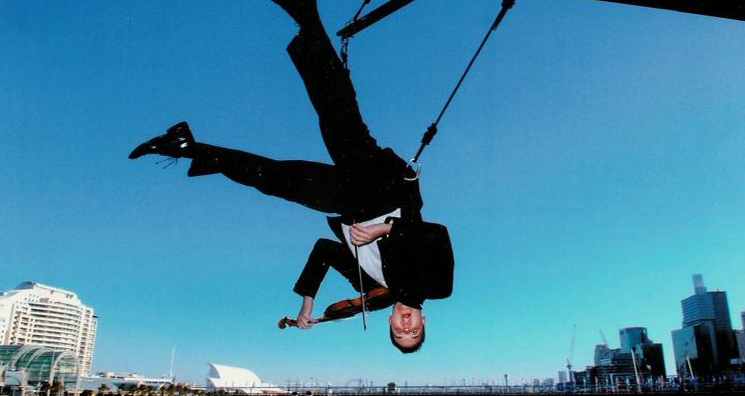 Combining musical virtuosity with spectacular death defying feats of athleticism, The Stunt Orchestra is an orchestra for the 21st century and the only one of its kind in the whole world. 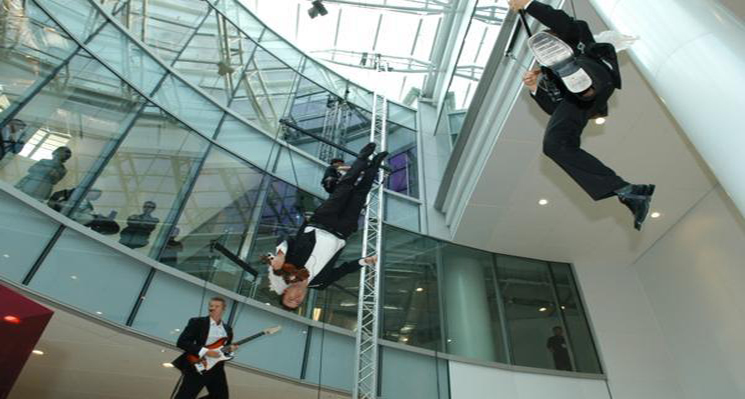 Not only do they perform anything from Vivaldi’s Four Seasons to ACDC, but they play to their audience while flying up to 14 metres above the ground. Be shocked, stunned and thoroughly delighted as they wildly serenade you from high in the sky. This high action, startlingly virtuosic show, once seen, is never forgotten. Each of the members in Shenzo’s Electric Stunt Orchestra bring with them a wealth of expertise in music, composition, theatre and extreme stunts. The group was founded at the turn of the millennium 2000 by the highly celebrated violin virtuoso Shenzo Gregorio and since has had a wealth of success performing at festivals and corporate events all over the world. He is flanked by the only three world class musicians crazy enough to match his high flying stunts, Toby Hack Electric on guitar/vocals, Ross Smith on drums/vocals, and Rohan Staples electric on Bass/vocals. Shenzo Gregorio’s prodigious talent for music is undeniable. To find a unique voice on so ubiquitous and instrument as the violin is in itself an amazing achievement, and Shenzo’s Electric Stunt Orchestra goes well and beyond achieving this. 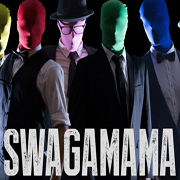 Music connoisseurs will also be thrilled by the bands daring and playful fusion of classical and contemporary music. From Vivaldi’s Four Seasons to Tchaikovsky’s Nut Cracker Suite to ACDC, it’s like Spinal Tap meeting J.S.Bach for the first time and getting along incredibly well.